Safely chemically straighten your hair at home. Yes, really! At some point, many of us dreamt of having straight hair for a longer period of time. Thank heavens for Brazilian blowouts, keratin treatments and relaxers! Although these treatments leave hair looking sleek and straight, the aftercare comes with a price. No matter how you chemically straighten hair, you should always remember the health of your strands comes first, especially when dealing with chemicals that can cause damage in the long run. 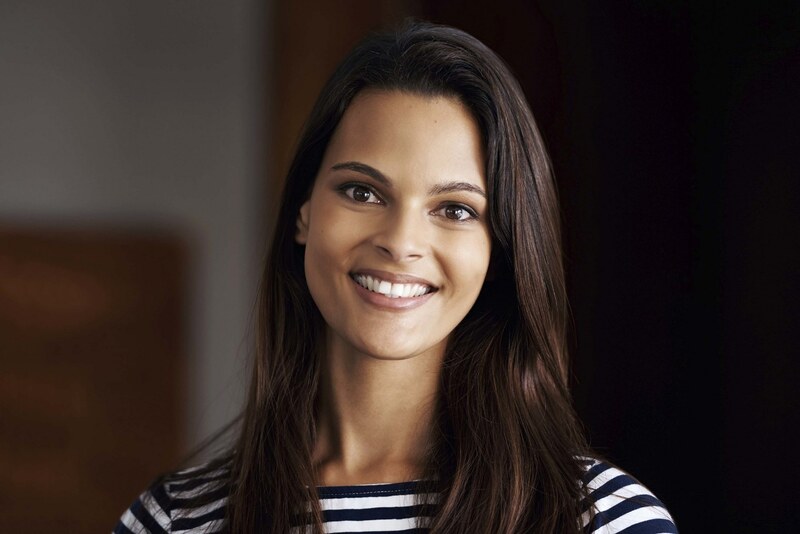 To help you out, we are sharing some insider hair tips on how to chemically straighten hair with at-home kits, plus how to take care of your hair afterwards. This includes how to keep your hair in check, and what you should avoid. 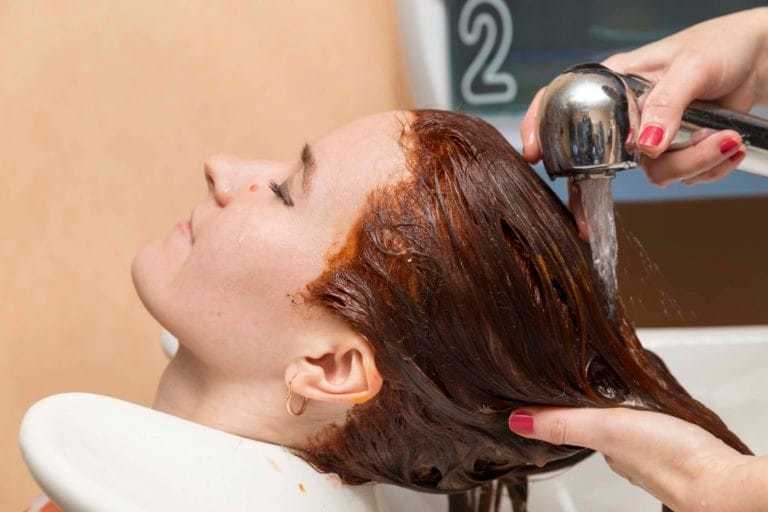 From knowing when you can color your hair, to altering your hair care regimen, read on to discover some of the most frequently asked questions to help you to better care for your hair after a chemical hair straightener. Get amazing straight hair with chemical straighteners. Ed’s Note: Before deciding to chemically straighten hair at home, make sure you read all necessary precautions provided by the kit you have purchased. Keep in mind that with chemical treatments (relaxers especially), the process is time-sensitive. Set a timer or an alarm. Make sure you’re doing this process in a ventilated room to get rid of fumes; get your windows open or do it outside if possible. On relaxed hair, make sure you’re really in need of a touch-up—if not, you can potentially overprocess your hair. If it’s been about six to eight weeks after your last treatment, or you have at least 1/4 inches of new growth, you’re in the clear. 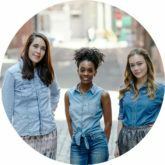 However, if you just removed braids or recently colored your hair, it’s good to hold off from relaxing for about another week to prevent any irreversible damage. Step 1: After washing and conditioning your hair, use a rat-tail comb to part hair into four workable sections by parting hair down the center of your head, front to back and from ear to ear. Using gloves, apply the keratin treatment into your hair by sections, from root to tip using an applicator brush. Step 2: For even distribution, comb the treatment through your hair with a wide-toothed comb. This will also help to remove any excess product. All of your strands should be coated. 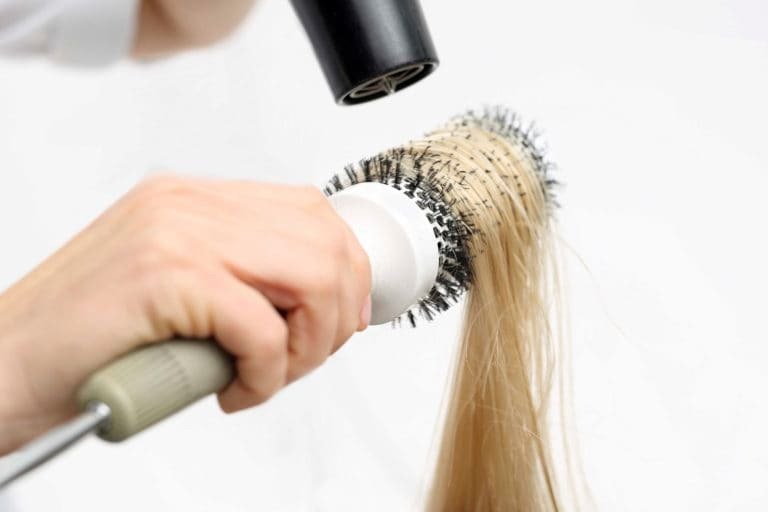 Step 3: Blow-dry each section of your hair using warm or medium heat, holding the concentration nozzle down the hair shaft which helps seal the hair cuticles down flat. Step 4: Part the hair the way you want it to be worn, to avoid styling your hair after the flat ironing process which can result in dents or marks along the surface of the hair. In one or two-inch sections begin to flat iron your hair at 450 degrees. If you set at a lower temperature, the flat iron won’t be able to seal in the treatment. Step 5: Leave your hair as is for the next 72 hours. Sleep on a satin or silk pillowcase to protect your strands. Cotton creates friction and can damage your freshly treated hair. After, you can carry out your normal styling or wash and care routines. Step 1: Mix the relaxer and activator until it is free of clumps and fully combined. Step 2: Use a rat-tail comb to part hair into four workable sections by parting hair down the center of your head, front to back and from ear to ear. Step 3: Prep your hairline and entire scalp with petroleum jelly or a base oil to prevent irritation. Step 4: Using gloves, begin applying relaxer to your new growth. Start with the back area of your hair one section at a time, parting the hair horizontally within each section. In other words: Part hair, apply relaxer and repeat these steps to the following sections of hair. Only use the smoothing technique during the application by using the back surface of a comb’s bristles. If you comb the product through using the comb’s teeth, instead of smoothing the relaxer onto the hair, it may cause breakage. Continue this process for all four sections of hair, leaving your front and back hairline to the end. Keep in mind, the minute you apply the relaxer to your hair, the chemicals are in full effect—as you finish one section, quickly move onto the next. Don’t spend too much time on one area, as this can lead to overprocessing. Each section will take you around five to eight minutes. Step 5: After you’ve completed your last section, it’s now time to wash. Wash hair with neutralizing shampoo to deactivate the chemicals using the smoothing technique with your hands until the relaxer is completely removed from the hair and water runs clear. If you scrub or massage your scalp, it will burn and cause irritation. Step 6: Carry out your normal wash, condition and styling routine. Be sure to maintain the overall healthy look and feel of your hair by using a hair care system that helps restore your locks and repair the appearance of damaged hair. A blowout is a chemical-free way to straighten your hair. Can I still heat-style after a chemical straightening process? You’ve got your hair freshly done, but you just can’t wait to add a few bouncy curls to your hair. You may want to hold your horses depending on the treatment you received. If your hair has been freshly treated with a Brazilian or keratin treatment, follow the instructions from your kit before using any heat styling tools on your hair. Using it any time prior can leave marks and dents on the surface of your hair. If you had a relaxer, you may heat style once your hair is dry. 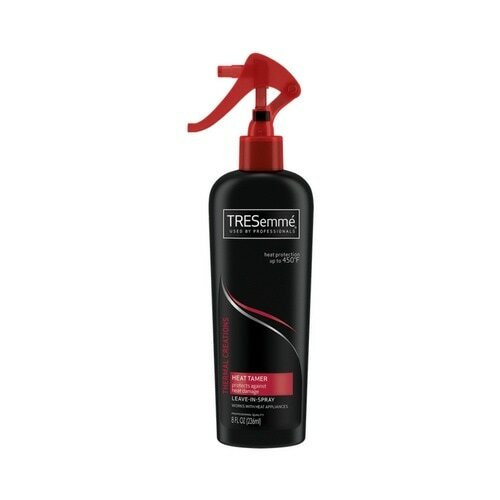 Be sure to prevent any damage or breakage by using a heat protectant like TRESemmé Thermal Creations Heat Tamer Spray. I got burns from my chemical straighter. What should I do? Often times, during chemical treatments, women get burns due to an irritated scalp prior to application. If this has occurred, don’t pick the scabs. You can apply aloe vera gel onto the scalp to help soothe the burn. The next time you go for a chemical treatment, be sure your scalp isn’t irritated, and if you’re carrying out the process yourself with an at-home kit, try not to go over the suggested time limits. Follow the instructions provided by the kit, use petrolatum to prevent burns and don’t apply the chemicals close to your root. Employing a hair care system that helps restore your locks is beneficial after you chemically straighten hair. Should I change my wash-and-care system? Chemical treatments can cause breakage if you don’t take proper care of your hair. If your current wash and care system doesn’t tout anti-breakage, then yes. When you chemically straighten hair, it can be damaging to your hair. Over time, the hair can become weak, brittle, and dry. 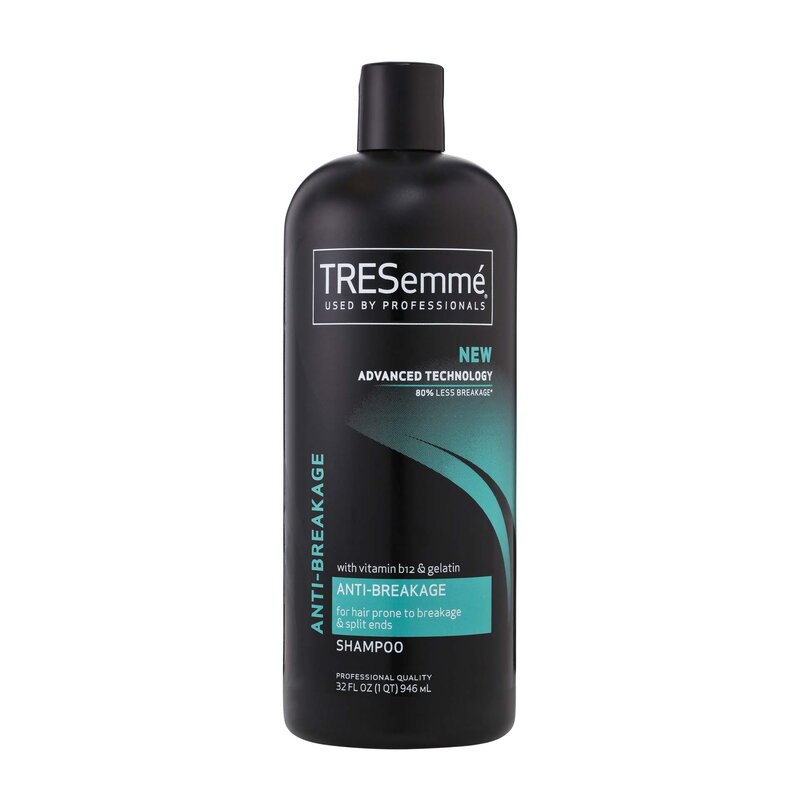 Employ a line like the TRESemmé Anti-Breakage Collection, which helps to leave hair strong, healthy and manageable. 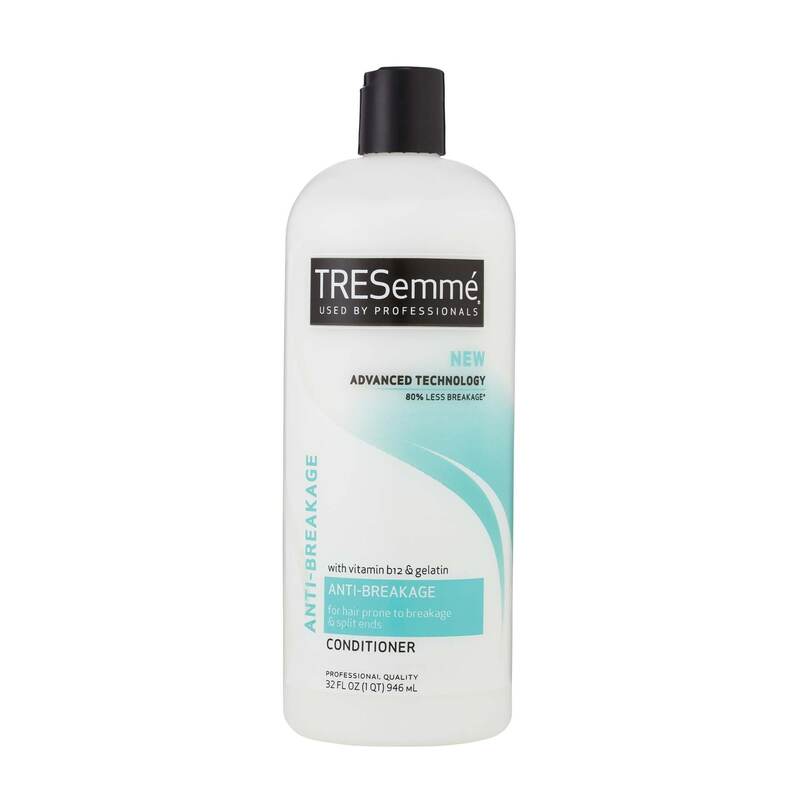 TRESemmé Anti-Breakage Shampoo cleanses your hair and helps protect it from breakage, and TRESemmé Anti-Breakage Conditioner helps to restore moisture. In addition, don’t skimp on leave-in conditioners and hair masks which both help restore your hair. To be on the safe side, consult the manufacture of your chemical hair straightener to find out when it’s best to color your hair. When can I color my hair after chemically straightening it? We recommend following the instructions from the manufacturers of the chemical treatments before adding color to your hair. Try these hot looks on your straight hair! How Is Straight Asian Hair Different From Other Hair Types?